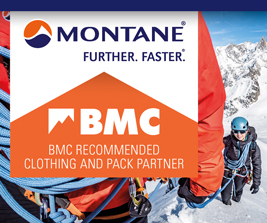 After a lengthy gestation period, the all-new BMC email newsletter has finally fledged and left the nest. It took its first successful flight over the weekend and headed off to members’ inboxes. In all the excitement of seeing it struggle to take off, we omitted to give it a name, so if you’ve received an email from newsletters@thebmc.co.uk with a blank subject field, please don’t delete it before you read it! We plan to send the newsletter on a monthly basis. It will contain a selection of recent news and feature articles, upcoming event listings, latest crag access updates, and a section highlighting areas of the BMC website. You will also be able to read archived copies of the newsletter on the BMC website.